The fitting of padlocks will deter thieves. Transporting ladders can be tricky and you may find that a lot of the time it is easiest to attach them to the top of a vehicle but you need to ensure that they are secure. 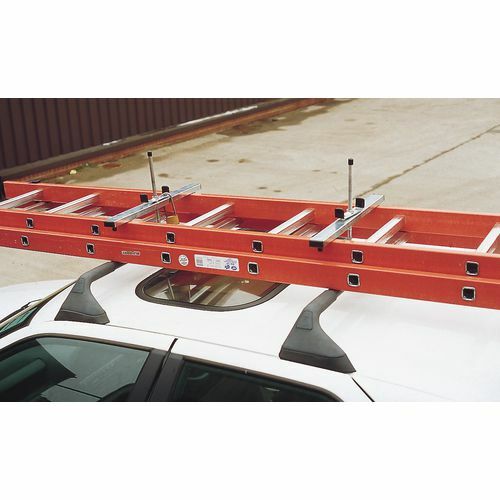 Our lockable ladder clamps can help to make sure your ladders are well secured to the top of your vehicle. They are universal vehicle roof clamps which hold on to ladders and adding a second set will allow for double stacking ladders to be secured. One risk factor to consider is if you leave equipment such as ladders on the roof of a vehicle they may be attractive to thieves. 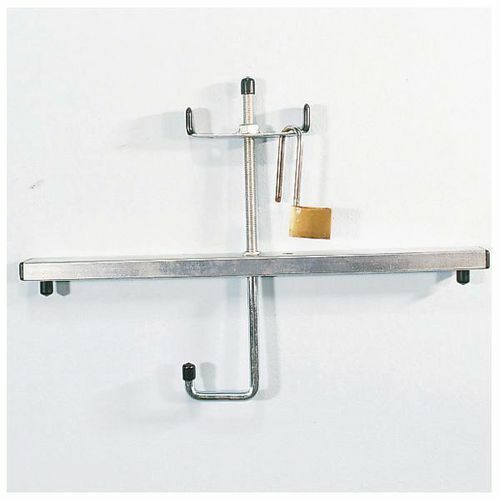 However, a great feature of these lockable ladder clamps is that they can be fitted with padlock which will deter individuals from steal your equipment. Our lockable ladder clamps will keep your equipment secure on top of a vehicle. They come with a 12 month guarantee and FREE UK Delivery.